The African Committee of Experts on the Rights and Welfare of the Child (ACERWC) is a group of experts mandated by the African Charter on the Rights and Welfare of the Child to monitor and report on the fulfilment of child rights in Africa. PRI’s work with the Committee focuses on children whose parents are detained or imprisoned, an invisible and often highly vulnerable group whose rights and welfare can be gravely affected at every stage of criminal proceedings. PRI also received observer status to the Committee in 2012. While reliable data is lacking, it is estimated that millions of children worldwide are affected by a parent’s imprisonment. Tens of thousands of children are living in prison with their parents and many times that number are separated from their caregiver. It is significant that the African Charter has many provisions directly relevant to children of incarcerated parents. Article 30 directly addresses the issue, but there are also a number of provisions ensuring ‘special treatment’ for pregnant women and mothers who are accused or convicted of criminal offences, which mirror to a certain extent the international standards later laid out in more detail in the UN Bangkok Rules. PRI supported the development of a General Comment on Article 30 which was adopted in November 2013 and provides guidance to states on the rights of children of incarcerated parents. PRI also supported the official launch of the General Comment and, together with the Committee, produced A Short Guide to General Comment No.1. Read more about the significance of the General Comment here. A short introduction to the African Committee of Experts and the provisions in the Charter relevant to the treatment of children in the criminal justice system. 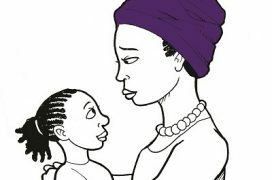 African standards on children of imprisoned caregivers are now online!